"We were keen on India in Brisbane. It would be churlish to suddenly decide they are not value considering the form of the two teams"
Australia restored some pride and confidence with a hard-fought victory over India in the first T20 in Brisbane. It gave them hope of reversing a sequence of eight consecutive series defeats in all formats. They had batted with familiar gusto and, before rain, would have reckoned that busting 200 was possible. Chris Lynn, Glenn Maxwell and Marcus Stoinis were the men who did the damage, notching impressive strike rates as sixes flew off the bat. Rain robbed them of the chance to go big at 158 for four. But they held their nerve in the face of typically aggressive Indian batting. And it was Stoinis again who caught the eye. He is having a terrific run of form. At the Gabba he picked up two wickets and defended 13 with ease in the final over. A word, too, for Adam Zampa whose economy rate of five was significant. If India get hold of him they win the game. India may feel a little aggrieved that they are 1-0 down with two to play. They were set 174 to win off 17 overs under rain rules - 10.2 an over compared to Australia's rate of 9.29. That, of course, is what you get with the D-L Method but India would argue that Jasprit Bumrah and Bhuv Kumar would have been expert enough to restrict Australia to about the target they were set with 18 extra balls. Still, India did not bat well. Too many of their much-vaunted batters had off days. Rohit Sharma was quiet and Virat Kohli's strike rate of 50 was the first time he had been as slow in an India chase. He had never gone below a rate of 85 in 26 innings and only three times he has failed to bust 100. Krunal Pandya did not cover himself in glory, either, and, really, India should have been capable of taking 13 off the last six to get home. Shikhar Dhawan, who hit 76 off 42, had set them up. Dinesh Karthik's 30 off 13 wasn't quite enough. There have been 11 T20s played at the MCG. The highest score is 184 by India in victory in January 2016. Six of the 11 have been won by the side batting second. No toss bias then? Tricky because when we factor in domestic matches it suggests that chasing is definitely the way to go. It's 30 wins from 44. The match odds market has not been fooled by game one, appearing to take the view that the rain was of huge help to Australia. Prices remain pretty much the same with Australia [2.12] and India [1.86]. We were keen on India in Brisbane. It would be churlish to suddenly decide they are not value considering the form of the two teams. India, No 2 in the world, are vastly superior to Australia in this format at the moment. The toss is a concern. We don't want to miss the chance to get with India at good odds but we are loath to ignore the importance of the flip. On the other hand, Australia are poor chasers and we note the expert squeeze that Bumrah, Kumar and Kuldeep Yadav were still able to deploy. If India were to chase we would probably bet maximum stakes. The weather forecast is not great. Winds and rain are expected but it is hard to tell whether the latter will mean reduced overs. 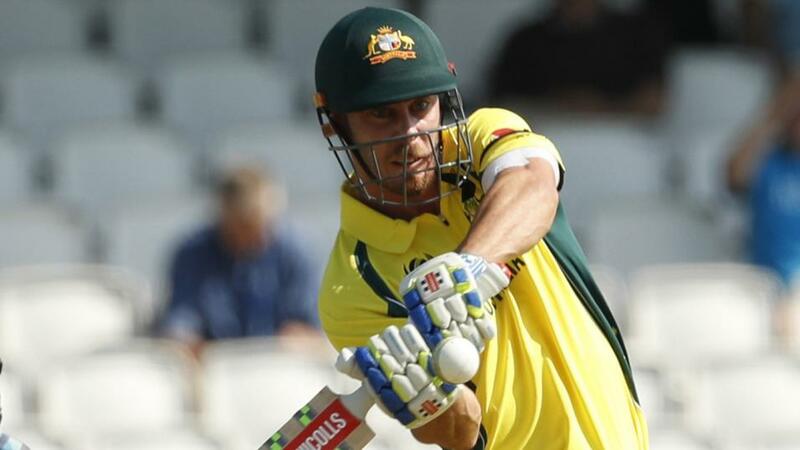 Finch has 287 runs in eight innings for Australia at the 'G. And he is finding his way back to form it seems after a decent-ish knock in Brisbane. The 11/4 with Betfair Sportsbook that he top scores for the hosts doesn't seem much fun, though. Maxwell, a favourite of ours, has 50 runs in five innings at the venue and that puts us off taking 9/2. Chris Lynn whacked 63 from 46 balls in his last appearance for the Brisbane Heat there in the Big Bash. He is 16/5. Kohli has ground form. The Indian skipper made a half-century (59) in India's win in 2016. But there were scores, too, for Rohit (60) and Dhawan (42). Kohli's position at No 4 has meant he has been pushed out to 7/2 for top-bat honours by Sportsbook. Rohit is 13/5 favourite with Dhawan 3/1.